Should I have a mobile website? Are my visitors using mobile using mobile devices? How much does a mobile website cost? How can I prevent having to maintain two websites (regular and mobile)? When will it hurt me not to have a mobile-friendly website? 1. Are my visitors using mobile devices? Some audiences are more mobile than others. If you’re going to invest money into something, you’d like to know if it will pay back right? We see that roughly 10 to 25% of our clients’ traffic uses a smartphone-type screen. We’re not counting iPads because an iPad screen is big enough to show a regular website just fine (but uh oh, iPad Minis are out so this is changing too…). Take a look at your own Google Analytics report to see how many of your visitors are actually using a small mobile device. I’ll show you how in the video below. Don’t have Google Analytics? We can set it up for you pretty quick – just ask. Then just multiple that number by 100. That is your percentage. 2. How much does a mobile website cost? Mobile website design options and costs vary. The fact is that getting a new full website that is already mobile-friendly and looking world-class can be done under $5,000 if you’re willing to put in the content yourself and you’re not planning on doing custom-programming for some unique feature. Most businesses can afford that. And yes, that’s for a full website + mobile. 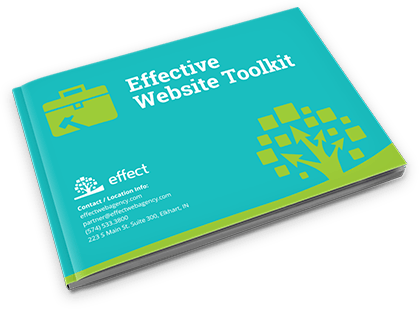 If you want everything done for you, you could expect to spend more in the $7,000 to $15,000 range for the new full website + mobile. Alternatively, you could get a mobile version of your site tacked onto your existing site as well if you must keep your existing website. Did you just recently build a website, but came to find out it’s not mobile-friendly? The tack-on method might be the best option for you. Simple tack-on mobile websites can be done under $1000. 3. How can I prevent having to maintain two websites (regular and mobile)? 1. Have the regular website and mobile website pull the same content from the same place. The example website shown at the beginning of this article does this. It has a regular design and a mobile design, but both pull the same content from the same content management system (WordPress). 4. 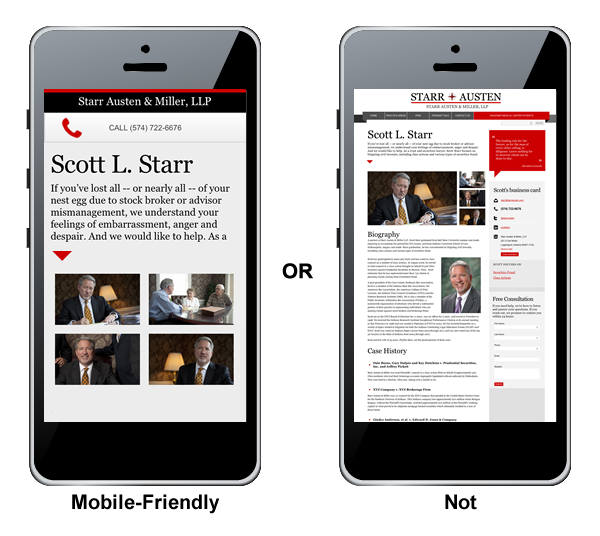 When will it hurt me not to have a mobile-friendly website? The short answer is: it likely already is. My advice is to find out how many of your current visitors are using smart phones now (as described under #1). Unless you have something pretty special on your website that is worth pinching-zooming-scrolling-pinching, etc, then its likely many of your mobile uses are not going into the site as deeply as a desktop or laptop visitor. We’re seeing 15% to 25% of users coming to websites with a smartphone today. Two years ago, we noticed it was about 8% to 15%. But wait: Is my website already mobile-friendly?